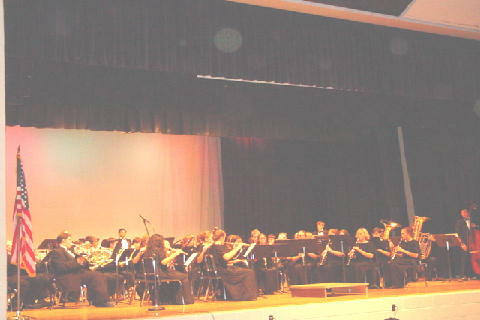 The JWHS Symphonic Wind Ensemble (SWE) is the premier concert ensemble at JWHS. It is made up of the top instrumentalists at James Wood High School and prides itself as one of the finest concert ensembles in the area. This group is a more advanced ensemble specializing in traditional and contemporary works for he concert band. Generally the ensemble performs grade 5 & 6 music and carries with it the same high standards of any professional wind ensemble. During the 2002-2003 school year the SWE will be scheduled during periods 6 & 7 during the school day. See the schedule for other dates and times for the SWE concerts.